SOPRAWAY adhesive is a homogeneous solvent free, low odour, acrylic latex emulsion based adhesive. 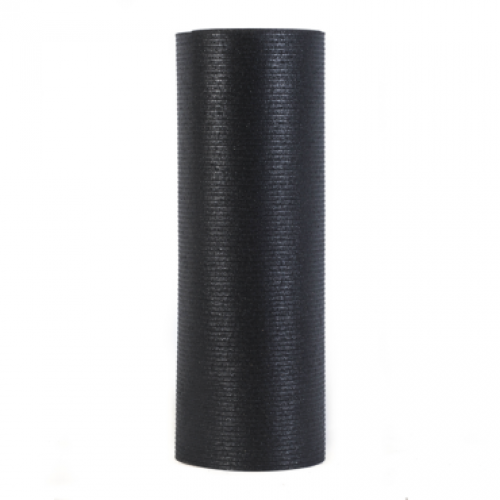 SOPRAWAY adhesive is used for interior installation of SOPRAWAY NG2 rubber acoustic membrane. SOPRAWAY adhesive is ready-to-use. No mixing required. Remove the container lid and spread the adhesive. 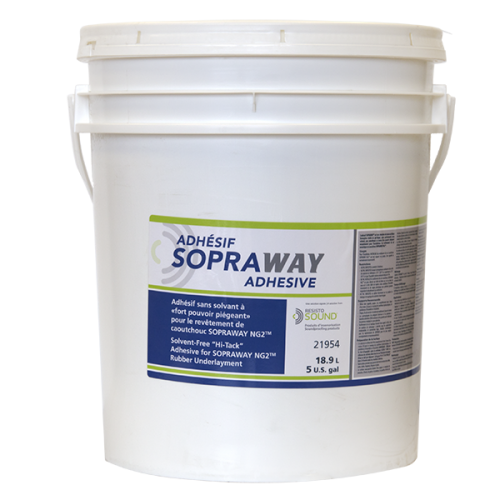 SOPRAWAY adhesive is applied using a 3 mm (1/8 in) or 4.8 mm (3/16 in) V notched trowel. The application temperature varies from 10 °C (41 °F) to 35 °C (95 °F). Curing time was determined under ideal application conditions: 23 °C (73 °F) and 50% relative humidity. Curing time will be longer at lower temperatures.